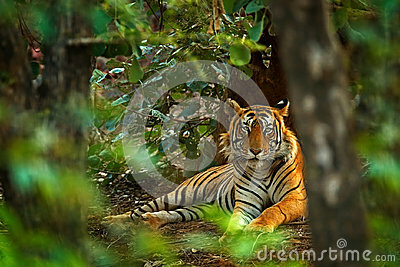 Indian tiger male with first rain, wild animal in the nature habitat, Ranthambore, India. Big cat, endangered animal. End of dry season.